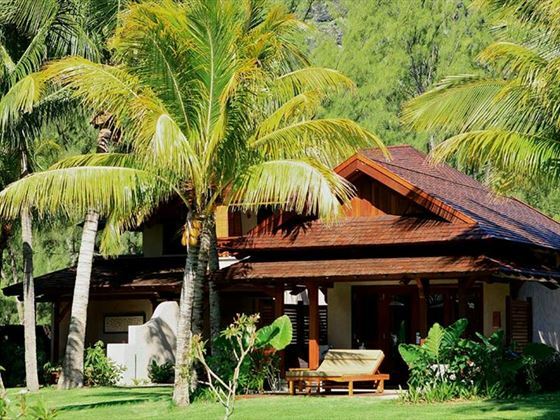 Hidden away amongst the flourishing tropical forest and wild golden beaches synonymous with Mauritius’ UNESCO protected south-west side, LUX* Le Morne offers barefoot luxury and seclusion. 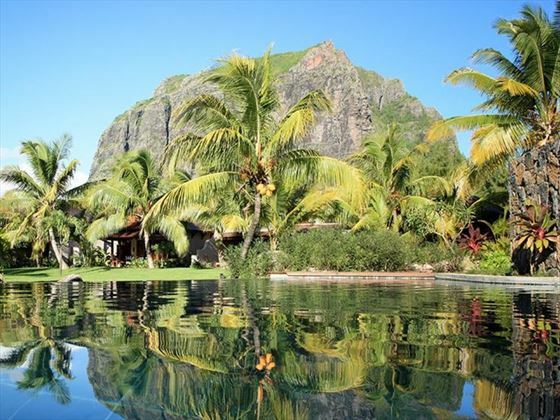 Situated at the foot of the soaring Le Morne Mountain, we love how this resort takes advantage of its enviable location. 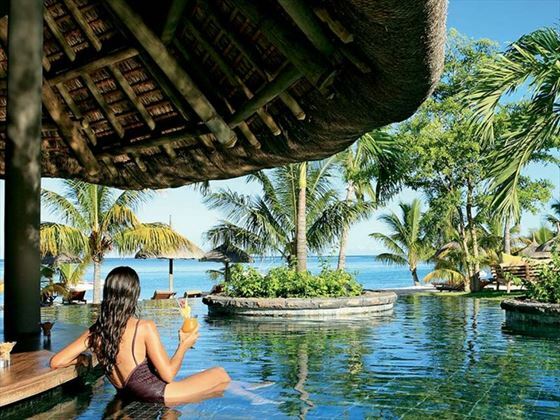 Facing a translucent lagoon, this glorious resort is best known for its unsurpassable views of the sunset. It’s so fabulous in fact, that most evenings you’ll find a pop-up bar on the beach, so you can enjoy your favourite drink while watching the warm orange glow dip behind the horizon. 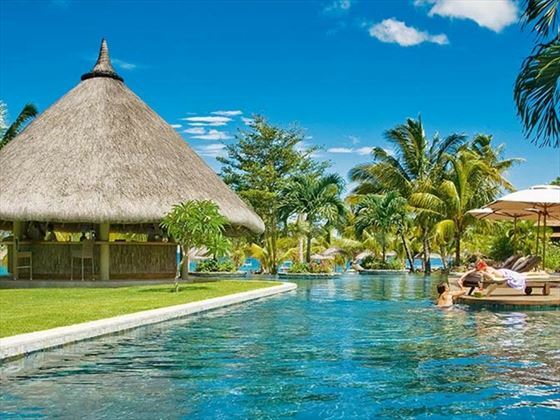 It’s also a great base for exploring the nearby Black River Gorges National Park, grabbing a bike and discovering new parts of the island, or even climbing Le Morne for an amazing Indian Ocean view. 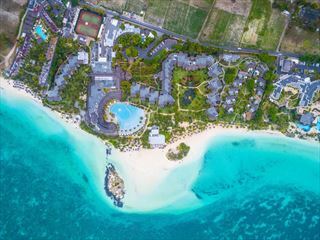 If you’re hoping for a more laidback getaway, you’ll find four gorgeous pools to leisurely swim in or sunbathe by, slow barefoot walks on the beach, and a tempting spa too. 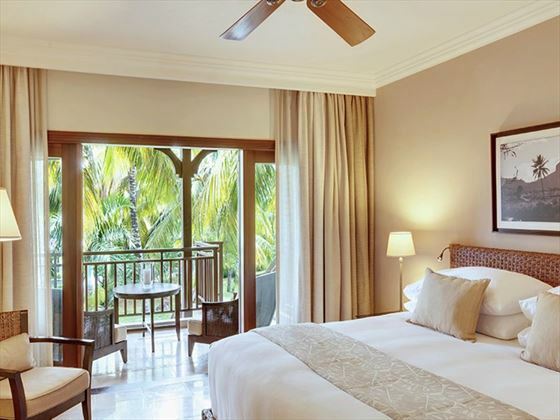 The rooms and suites adopt a contemporary island style, with scenic balconies overlooking swaying palms, lush garden and azure ocean. 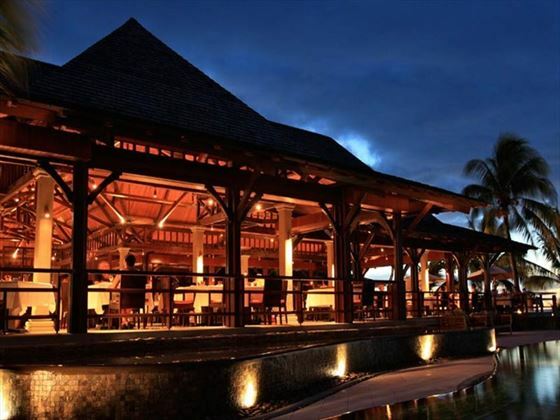 Meanwhile, the restaurants here are clearly inspired by the island too, from the beautiful beachside or poolside locations, all the way down to the fresh and colourful cuisine and vibrant cocktails. If you’re hoping to restore balance and soak up the chilled island lifestyle, this is the place to be. 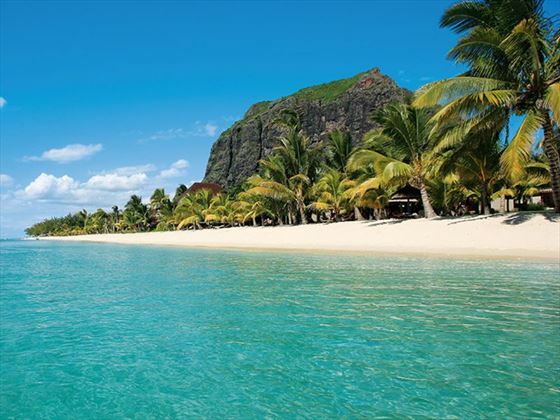 Located on the south-western tip of Mauritius, just steps from the beach. Superior Room – Classy rooms featuring the standard amenities, plus a furnished terrace with lush garden views. Junior Suite – These spacious suites are ideal for small families, with a garden-view terrace, a whirlpool in the bathroom, and space for two adults and one child. Prestige Junior Suite – These suites are slightly larger, with sliding doors opening out onto an expansive furnished terrace and beach views. 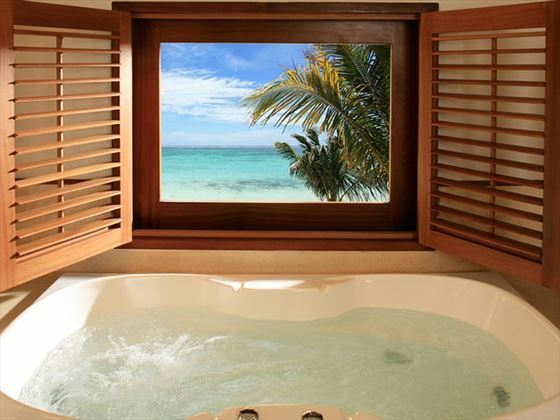 Ocean Junior Suite – Elegant suites featuring a deep bath tub, a large patio with sun loungers and sunset views, and an enviable location on the beach. 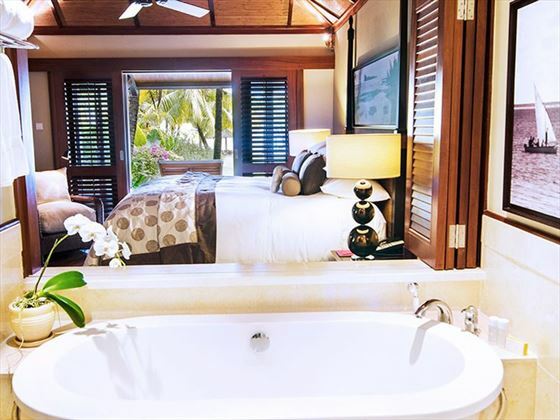 Honeymoon Junior Suite – Romantic suites with spacious furnished balconies for watching the sunsets together, and a luxurious whirlpool for relaxing. The Kitchen – A stylish restaurant offering delightful open-plan kitchens, a huge al fresco area overlooking the lagoon, and delicious cuisine from around the world for breakfast, lunch and dinner. Open 7am-10.30am, 12pm-3pm, and 7pm-10pm. 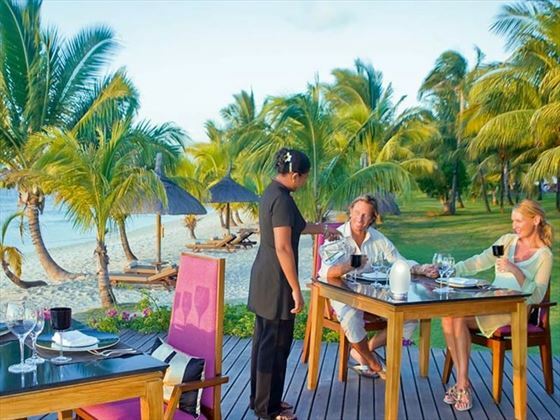 The Beach – Dine on fresh and simple Mediterranean cuisine on the spacious beachfront deck, either basking in the sunshine or taking shade under the thatched roof. The menu is inspired by flavoursome Italian ingredients – the pizza here is mouth-watering. Open 12pm-3pm and 7pm-10pm. 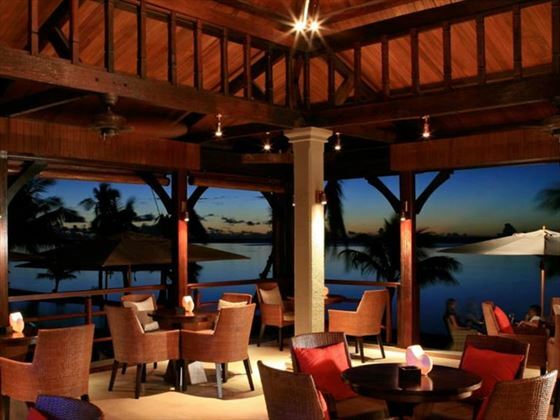 East – Treat yourself to a taste of Asia at this sophisticated venue, serving zingy stir fries, fiery curries and sumptuous seafood alongside glorious lagoon views. Open 7pm-10pm. Ilot and Oasis – Enjoy the chilled island lifestyle at this refreshing swim-up bar, offering a menu of colourful cocktails and freshly squeezed juices. Open 11am-6pm. Café Lux* - A modern open-air coffee house, serving gourmet drinks and snacks all day and night. Open 9am-12am. The Bar – Grab a seat under The Bar’s shady veranda, starting your day or evening off right with a cold drink and a great playlist. Open 10am-12am. Note: the hotel reserves the right to close up to 2 restaurants throughout the year. Food & Beverages selection included in 'All-Inclusive' package is available in restaurants/bars. Served every afternoon at The Bar from 4 p.m to 5:30 p.m.
Yoga classes, fitness centre, sauna, steam room, whirlpool (reservation mandatory subject to availability at the Spa - adults only). Water skiing, glass bottom boat trips, snorkelling, windsurfing, kayaks, pedal boat, small catamaran, mini sailing as per weather and tide conditions. Unlimited access to our gym centre, floodlit tennis courts (rackets and tennis ball provided), table tennis, bocce balls, beachvolley. Receive 60% discount for the second person, or 30% discount off both travelling.